Note: While this is a sponsored post, the opinions given are 100% my own. My kids love handheld devices. If given the opportunity, I am sure that B and J would mess around on them for days at a time, uninterrupted. If given the opportunity, I am also sure that they would eat ice cream 9 days a day. Regardless, we obviously monitor and limit their usage on the devices. This does present some challenges, especially when it comes to gaming apps. Ideally, whatever it is they’re playing would have lots of educational value, and not just be mindless timekillers. Once they get it into something, they really get into it, you see, so their engagement levels are through the roof sometimes. The problem I’ve had is finding educational games which they’ll actually enjoy and engage in, instead of just the mindless ones. Now, that’s where Safari Tales comes in. Developed by Kuato Studios for 4-10 year olds, this is a pretty sweet game. Basically, you select your character (you start with a baby elephant, but can find others eventually, to play as them) and then you’re free to roam an African savannah. Because it’s a 3D world, you are really encouraged to explore the environments. 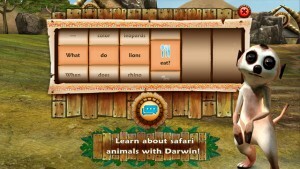 The key to Safari Tales is that it enhances literacy skills. 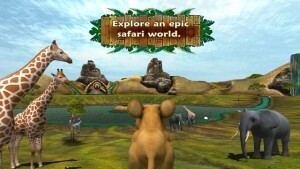 Throughout your adventure, you play various mini-games, and collect artefacts. Along the way, you learn numerous facts and figures about the environments and their inhabitants. One neat feature is that your session is recorded while you’re playing. 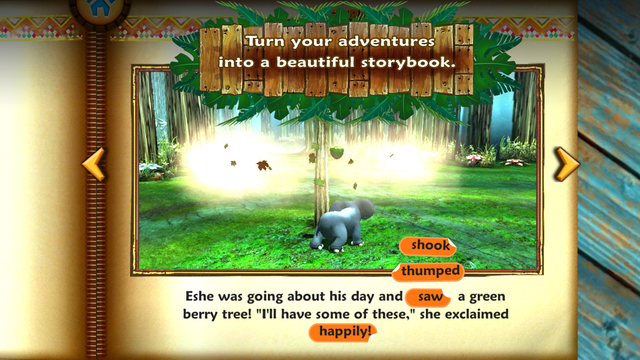 Then, at the end of it, an interactive storybook is created, so you can read about about what you did, on your adventure. Going back to what I was saying about monitoring device usage. 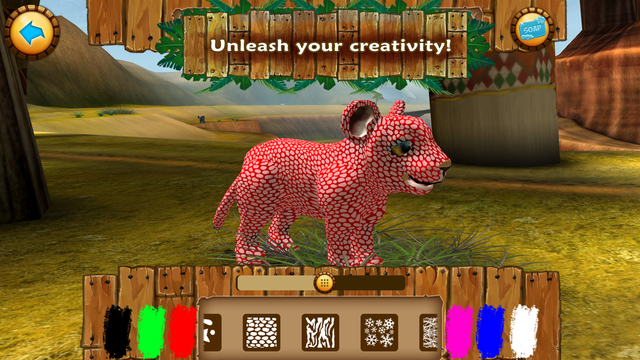 Safari Tales has an option called Parent’s Corner, where you can personalize the game to your child’s liking. For example, you can adjust the reading age accordingly. As well, you can pick the session length, so playtime doesn’t go on and on! We downloaded this game onto our iPad. While it was a bit tough for J (who’s three years old), B (five years old) loves it. He especially likes interacting with the character, Darwin, who’s a meerkat. Darwin’s almost like a guide, in that he helps lead you through the game. 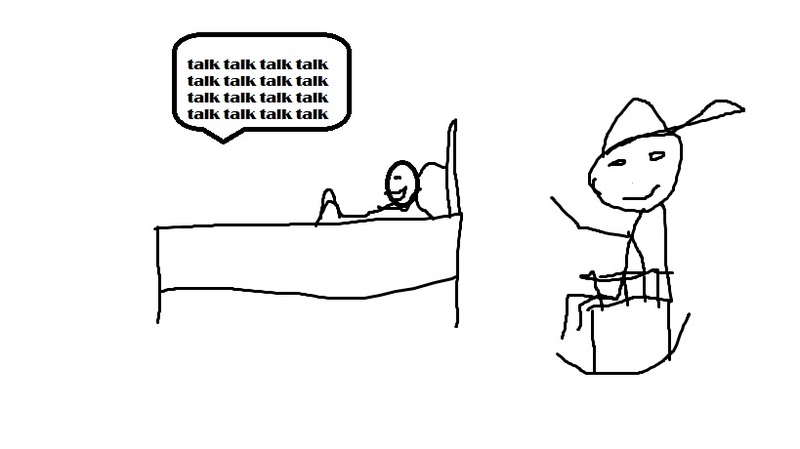 However, at any time, you can also ask him questions, by selecting words, to form proper sentences. Darwin will then speak the answers to you. As far as I can tell, all of the Q &A is related to facts about the animals or the environments, which is pretty cool. Sometimes, B doesn’t even play the rest of the game, and just kills time talking to Darwin! 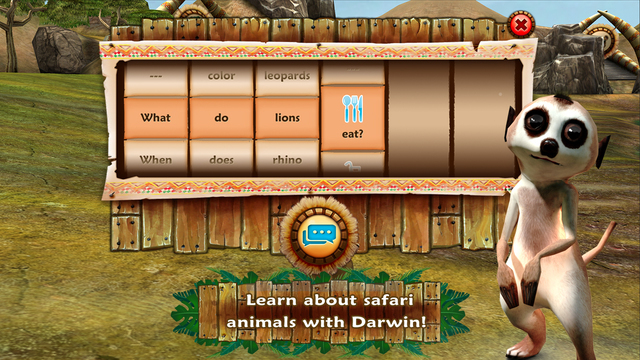 Overall Safari Tales is one of the better downloadable educational games that I’ve experienced. It’s fun, easy, and engaging, with graphics that are top notch. It’s reasonably priced, too. Definitely recommended for young kids. Cool And Unique Gifts For Kids! Now normally, my posts providing helpful tips and advice………. aren’t exactly very helpful. So let’s shake things up a bit! Check out this article from guest contributor Tracey Clayton. She offers up her expertise on a subject which we probably have all struggled with at some point in our lives. Giving something to someone we love provides satisfaction both for us and the person to whom we give presents. A gift may prove a lot of things – love, respect, affection, tenderness, etc. It’s not just a matter of buying a gift. Anyone can do that. The secret is that we listen to someone we love, to find out what they want and feel, what they rejoice over. Most people will say that they look forward to purchasing gifts much more than receiving one. 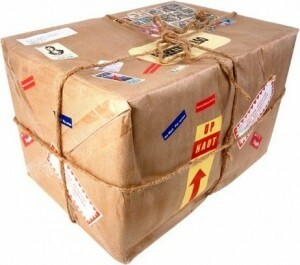 However, buying a gift for children is the real magic with coming holidays or birthdays. They are happy with toys, coloring books, books, pencils, bags, clothes, sweets and the like. But, if you want to do something special and move away from usual gifts, there are always some cool and unique gifts that will make the children smile and remember how thrilled they were for a long time. If a child loves going to the movies, why not give him/her tickets to go see his/her favorite movie? You can also give tickets to a game of their favorite sport. 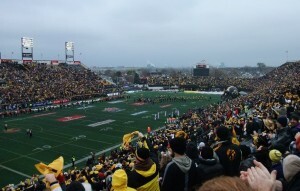 Going to the stadium to watch a live game can be a fun group experience if kids are old enough. You can also check for concerts that a child likes, and give tickets as gift. The best thing about this gift is the thrill of receiving something new every month. You can find a number of educational children’s magazines or fun kits to inspire children learn about the world around them. 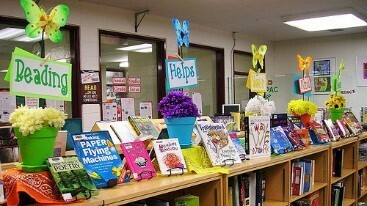 The latter allows you to choose by age (3-12 years) and teach children about animals, music, other countries, etc. – basically, whatever their interest is. If your children are passionate about music, or sports, this is your chance to surprise them. Find something available near your residential area that interests your kids, whether it’s playing music, dancing, or playing sports. It is recommended to enroll them for a short period of time to test if it’s something they are truly passionate about, and if not, they can seek alternatives. Computers have taken over our children, and they can now access any board game electronically. But perhaps they have never been exposed to a board game at home. Find games that are educational or that can help with motor skills. Some games that are fun to try include Scrabble, to practice vocabulary, Jenga, Monopoly or even a puzzle. And best of all, seek a way to schedule time and play as a family. You can give a fishing rod, or a gardening kit as a present. The fishing rod requires an adult to take the time to teach the kids ​​how to use it, and in turn it ‘forces’ the adults to get off the couch and spend time together with children. For more fun there is also very cool gadget called Rocket fishing rod. A gardening kit will allow your kids to learn how to plant seeds and take care of plants. Toy train is a toy which everyone had when they were little. It will always be trendy and children still love it. Playing with trains and railways will keep the children occupied for quite some time. Drawing boards are a great gift for little artists. There are many kinds of boards, but those with automatic eraser like Boogie boards are especially fun for children. Playable art balls in beautiful colors are a great gift for children, too. They will have fun and at the same time learn about science. Kids love to build collections, and fantastic unique toys that can be purchased are simple pop vinyl figures also called bobbleheads. Children can learn useful things while collecting toys – neatness, meticulousness, organization, etc. It is important to see whether the children are mature enough to start collecting toys, whether they are able to appreciate them. Of course, it would be great if it became a family tradition, or if the child continued to collect toys that you already gathered in childhood. These are the books for children in which the little reader, or the owner of the book, is the main hero of the story. In the stories, with the real names, your little one can travel to distant planets and hang out with fairies, wizards, pirates, etc. This is a gift that would later prove to be a real keepsake. Do not forget that ultimately all is well except the child that is sitting on the bench, watching the other kids play with or without rules. The worst thing is when a child is not even on the bench, but at home, away from peers, fresh air, sunshine, joy and rosy cheeks. Moreover, outdoors is good for you, too, especially if you are one of the participants in the game. Tracey Clayton is a full time mom of three girls. She loves cooking, baking, sewing, spending quality time with her daughters and she’s passionate in writing. She is contributor on High Style Life and her motto is: “Live the life you love, love the life you live”. Find her on Facebook.